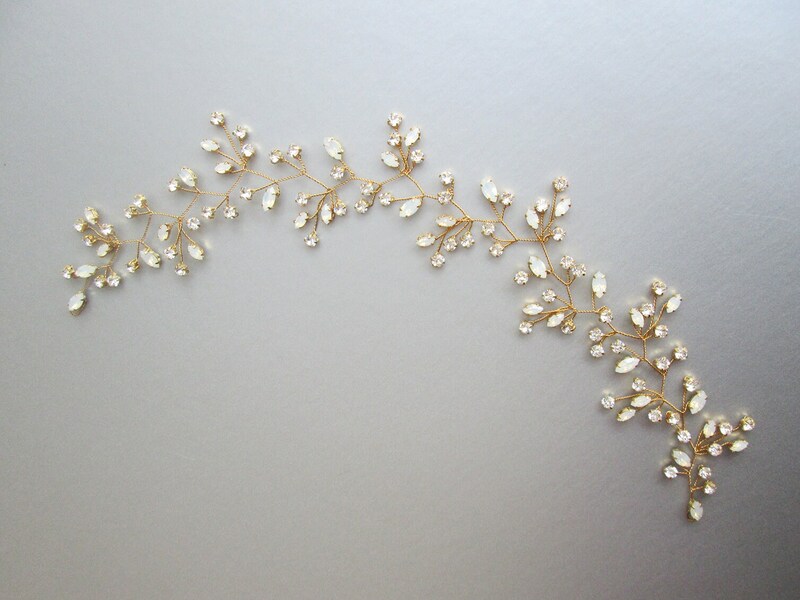 This leaf motif hair vine is made with beautiful sparkly Swarovski crystals in opal and clear crystal mix. 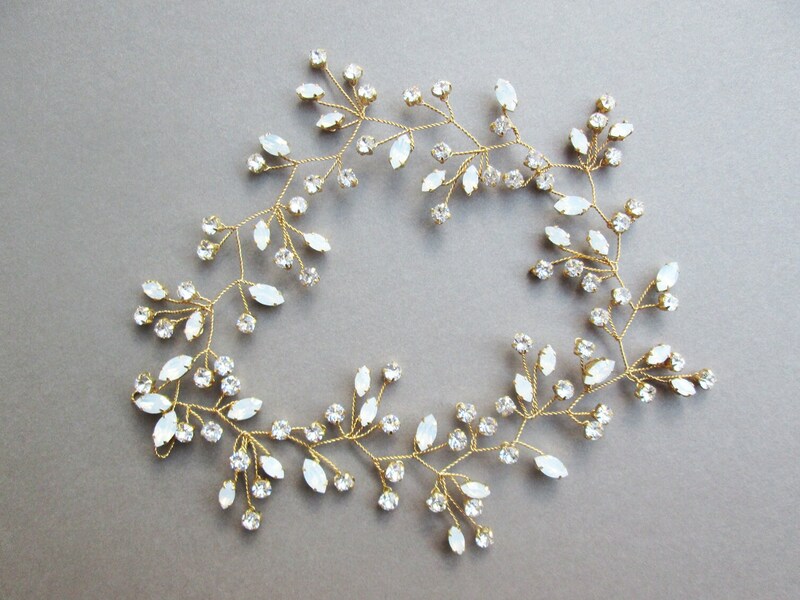 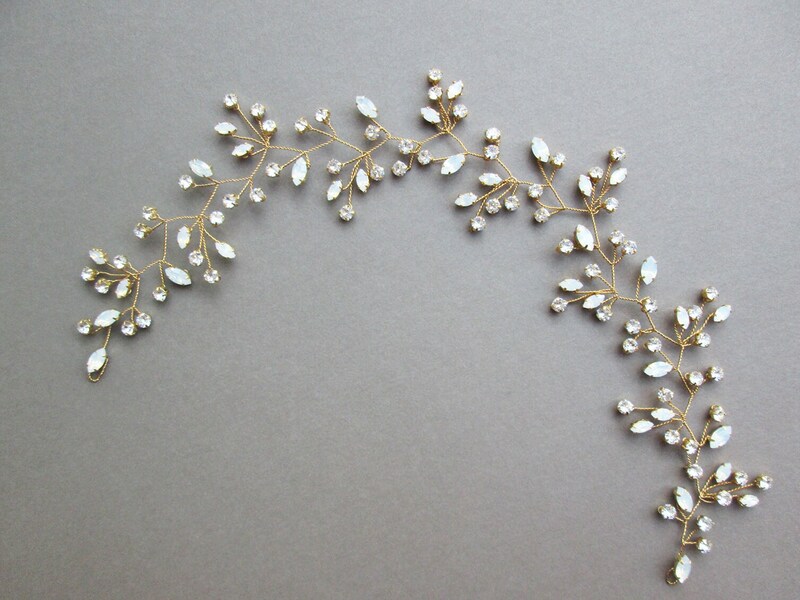 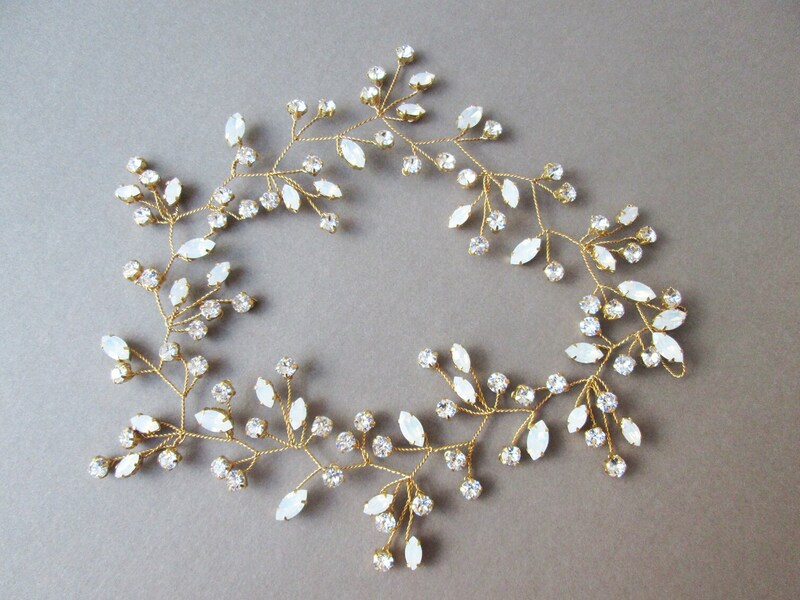 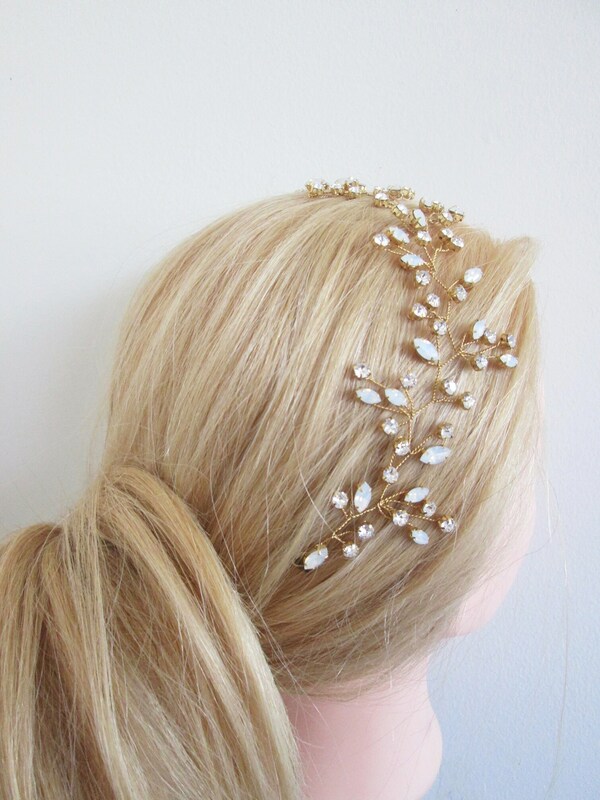 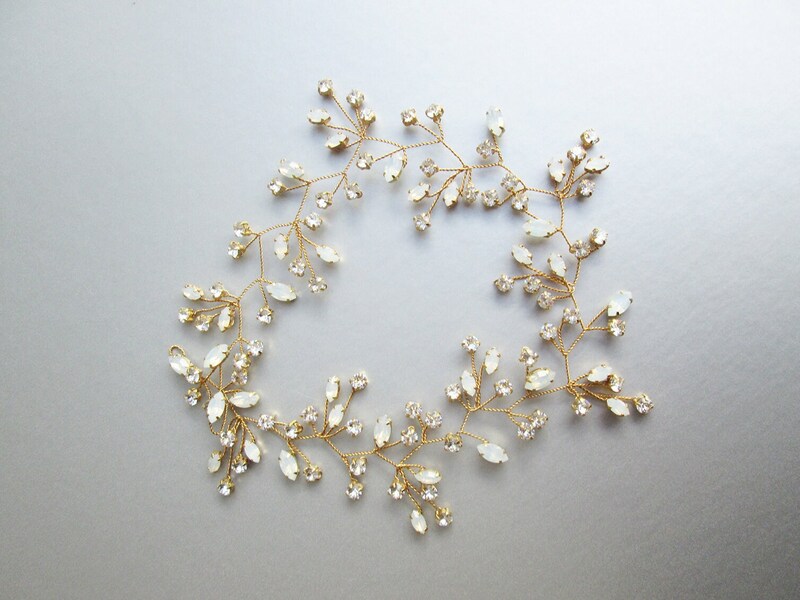 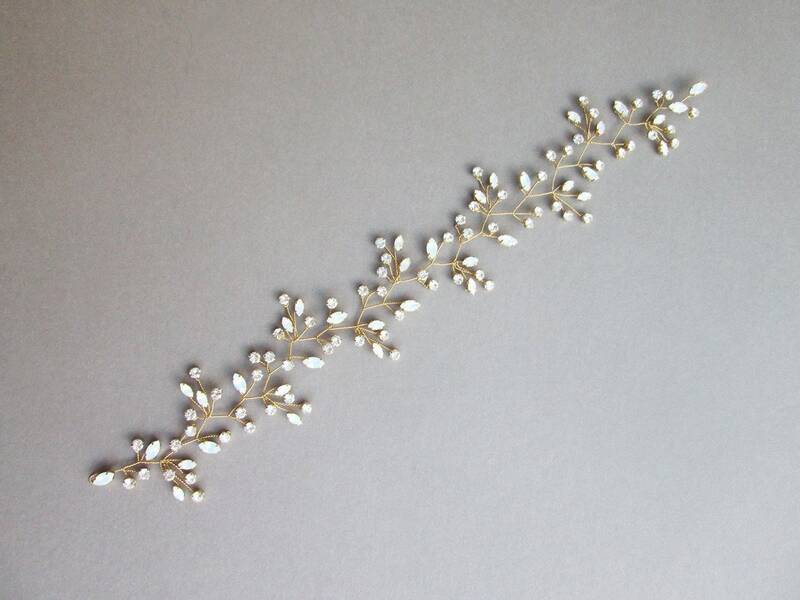 This headpiece is super flexible and shapeable and can be worn as a headband or a hair vine. 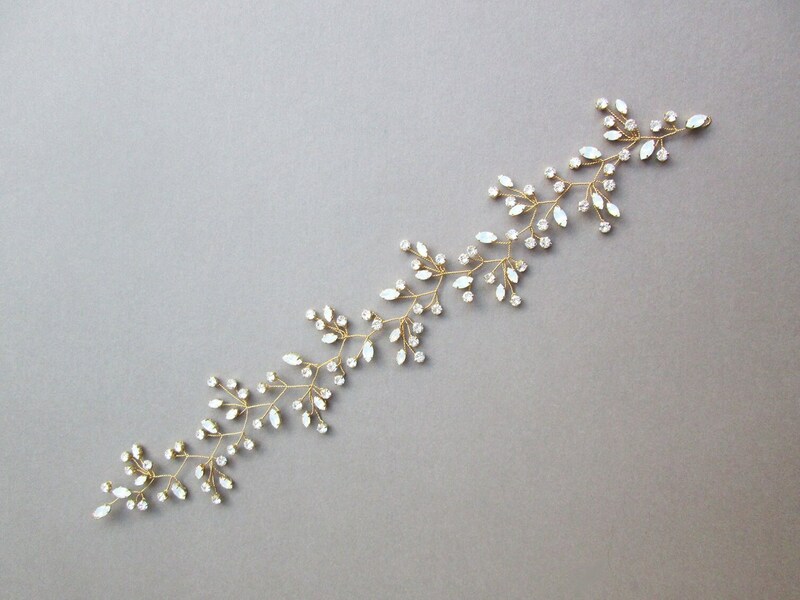 The hair vine measures 14" long and about 1 3/4" wide at the widest point. 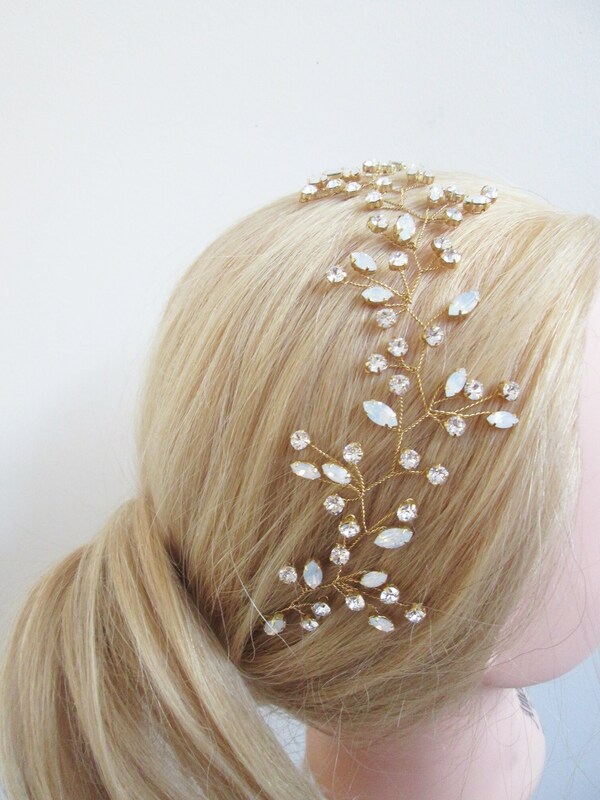 Available in silver, gold or rose gold finish and in opal/clear crystal mix or only clear crystal option. 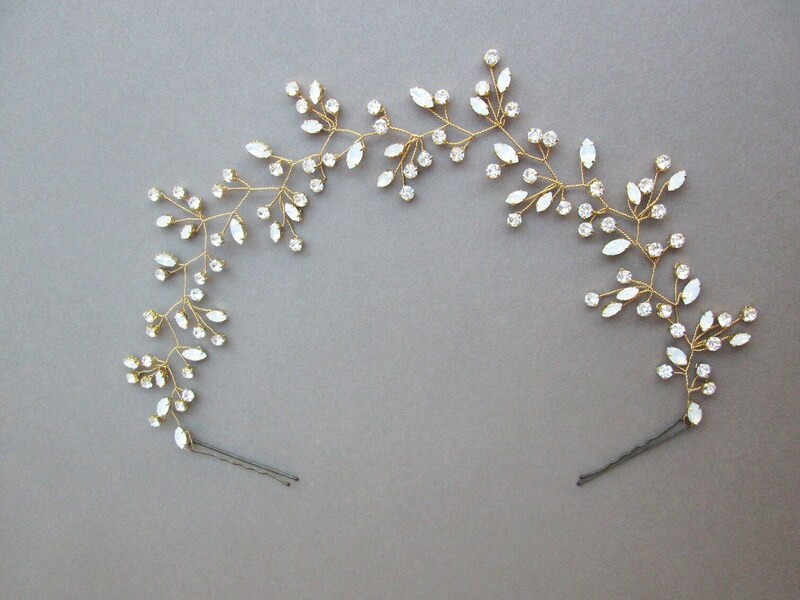 The hair vine comes with the bobby pins included.